Saskatoon Criminal Charge? Let Lisa Watson Help You! If You've Been Charged With A Crime In Saskatoon, You Need To Speak To Lisa Watson ASAP! If you are accused of a crime, you need to defend yourself. If convicted, you face serious penalties including fines and a prison sentence, and a conviction will result in a criminal record that will greatly affect your life. You need an experienced Criminal Defence Lawyer who will represent you, assist you and guide you through this difficult and challenging time in your life. Lisa Watson is a defence counsel and believes that the people who come to see her have, for whatever reason, found themselves in a fix and need someone who will act as a strong advocate for them. Lisa is there to represent you, and to advise and help you with the many difficult decisions that you will be facing. 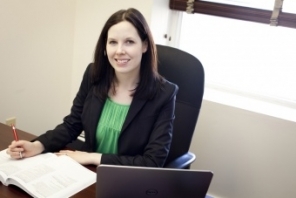 Lisa will provide you with an honest and professional assessment of your case. She will advise you on available defences to the charge, what happens in the courtroom, what will happen if the case goes to trial, the probability of conviction and the probable result if you are convicted. Lisa is a member of the Saskatoon Criminal Defence Lawyers Association and is a partner in her law firm in Saskatoon. She has a wealth of experience in every aspect of criminal practice and works with a team of extremely talented lawyers who are all strong litigators. Each member of the firm works diligently for the client. When the stakes are high and you are facing criminal charges you need a passionate, dedicated criminal attorney like Lisa Watson.